Gramma Bea was the first to rise in the Big House. Each morning, Fana Wolde found her grandmother in the kitchen with Mahalia Jackson’s soaring voice consoling her from the old CD player while Gramma Bea patted balls of dough between her palms, measuring drop biscuits. Gramma Bea cooked with care, hour after hour, as if the fate of the world depended on her getting the ingredients and temperature just right. Beatrice Jacobs was eighty-four, but she looked youthful in the black silk kimono she wore all day sometimes, when she didn’t have the energy to get dressed. By lunchtime, she would be sweating from the heat, but she never left her kitchen. When she wasn’t cooking, she was sitting at the kitchen table, either dozing or reading her Bible. Sleeping and praying took up the time left after cooking. She spent more time doing all three since her heart attack. Like most people, Gramma Bea wore her thoughts like clothing, so Fana didn’t have to peek inside her grandmother’s head to understand her. Fana could see it plainly: Gramma Bea stored her grief in her baking breads and stewing pots. Cooking was her meditation. Fana’s grandfather had died five years ago, when his car had overturned in a ditch in the woods a half-mile from his kitchen table, during a rainstorm. The accident had happened at three-thirty in the afternoon, snapping Fana out of meditation. 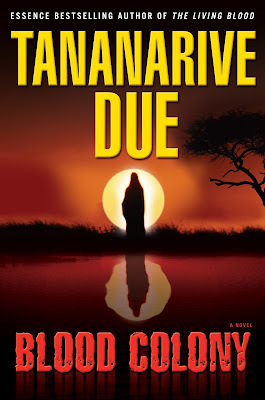 Fana, the first to know he was dead, had shared her grandfather’s last, startled gasp. Grandpa Gaines was dead before anyone could bring blood to him, where a drop might have saved him—or Dad might have been able to perform the Ceremony at the instant his heart stopped, in the ancient way. It was so unfair: Gramma Bea had lost her first husband to a car accident, too. And to lose someone here must feel worse, Fana thought. No one died here. Fana knew why Gramma Bea always kept his chair at the breakfast table empty, as if she expected him to come downstairs to eat, too. His absence was inconceivable. The kitchen smelled like oranges in the mornings because Gramma Bea was from Florida and insisted on squeezing her orange juice fresh. The oranges were already chopped and waiting, so Fana only had to pick up her dripping fruit, hold half an orange in her palm, and scrape off the pulp in the white plastic juicer with the methodical turns of her wrist Gramma Bea had taught her to perfection; one of the few things Fana believed she did well. Mom had bought a mechanical juicer years ago, but Gramma Bea wasn’t interested in technology except to listen to Mahalia and the Mississippi Mass Choir and the other gospel she filled her silences with. Gramma Bea thought machines were a distraction, and the music brought her closer to God. And closer to Grandpa Gaines, of course. Gramma Bea thought about dying for a long while every day, working her way up to the idea. Sometimes, she didn’t mind. Day by day, she minded less. She had begun to think of it as an appointment she had to keep, one she’d put off long enough. Fana wondered what else her grandmother would do with her time if she didn’t have to think about dying. But she doesn’t have to die, Fana reminded herself. She knows she has a choice. Fana felt alien enough outside without Gramma Bea’s criticisms! Mom and Aunt Alex never wore anything except T-shirts and jeans either. Sometimes it was hard for Fana to believe that Mom and Gramma Bea were the same blood: Mom never had casual conversations with her about going outside, especially not about clothes. Mom only filled Fana’s head with warnings. Fana hated restaurants. They always smelled like meat, and the tension was thick behind servers’ smiles and the kitchens' closed doors. Restaurants never felt at peace. “Don’t you want to feel more comfortable around people, Pumpkin?” Gramma Bea said. Fana felt her teeth grind. How many times did she have to tell Gramma Bea that crowds gave her headaches? Her family tried to understand, but they couldn’t. Not really. And what good would it do to go out and meet people? She would only lie to them, too. I care about people in the way that matters, Fana thought. I heal them. “I have friends,” Fana said instead. When she wasn’t reading or meditating, Fana was posting on ShoutOut, where she had hundreds of friends around the world who knew her as Aliyah Martin, an American student and Phoenix music fan living in Tokyo. But Gramma Bea was wrong if she thought she spent her days role-playing and gossiping. Fana never used her webcam, and only three people outside of the colony knew her real name. One person alone knew who she really was, and Fana hadn’t seen her best friend in three years. She and Caitlin saved their real communications for an encrypted site, at least once a week. They deleted and scrubbed each other’s messages immediately. Fana hadn’t gotten any messages from Caitlin in two weeks. Something was wrong. Anxiety nested in Fana’s stomach, and she knew the chewing sensation would follow her until she tried to go to sleep, just like last night. She dreamed in nightmares, and always about Caitlin. Was Caitlin dead like Maritza? She can’t be, Fana thought. I would have felt her die. Was Caitlin on the run, then? She had to be. But where? Gramma Bea was right: Fana needed to see Caitlin in person. But Caitlin couldn’t come here, the one place she might be safest. One of the Brothers would know Caitlin’s thoughts as soon as she arrived, and Fana couldn’t count on masking her. If I were a normal person, I could just drive out of here and go find Caitlin myself. It was the worst quandary of Fana’s life, and not talking about it consumed her. Was it time to tell her family the truth? Fana almost told Gramma Bea everything, right there in the kitchen on Friday morning. Did Gramma Bea know? Fana had started trancing again, too. Sometimes when Fana meditated, she let herself get lost, hiding from herself the way she first learned when she was three and the world had gone badly wrong, when she stayed lost for years. Life was hard again, and Fana wanted to step out of it. Gramma Bea held up a tube of lipstick the color of ripe mango pulp. Fana pouted her lips, and her grandmother painstakingly guided the tube while Fana smelled perspiration, talcum powder and sweet, familiar Giorgio on her skin. Fana would know her grandmother’s scent with her eyes closed. She laughed, her eyes twinkling with memories both joyful and sad. Gramma Bea rarely saw how beautiful she was; she only noticed what had changed since she was seventeen, too. Everyone else who lived at the colony was either related to her by blood or marriage, just a kid, or old enough to be her ancestor. Not to mention that she was also a freak. “Somebody will notice you when you’re driving,” Gramma Bea said, certain. Gramma Bea was from a generation when girls got married right out of high school, Fana remembered. They couldn’t be more different, in that way. Fana had known since she was three that she would always be alone. Gramma Bea shrugged. “We didn’t make this world. The Lord did. We just visit here.” Fana sighed and picked up the toaster again, adjusting its angles in the light from the window to try to see her face through a stranger’s eyes. “Do you see what I see now?” Gramma Bea said. Fana nodded, forcing a smile. The lipstick’s color was a promising speck, but Fana still couldn’t see her face at all. In light of a few stunning developments on the political stage involving Barack Obama, I'm posting an essay I wrote for friends and family back in April 2007, after Sen. Obama paid a visit to First AME Church in Los Angeles. I can't claim that I predicted then that Barack Obama would later so handily win the Iowa caucuses, and would be so likely to triumph in New Hampshire, too. I wasn't certain then that he had a realistic chance at winning the Democratic nomination, and the presidency beyond. The groundswell around Obama is nothing that could have been predicted outright. But after church that Sunday morning last spring, I understood that it was POSSIBLE. For the first time, my eyes were wide open about the Obama phenomenon. I wanted to share the experience with everyone I knew, so I transcribed the speech myself from the church's video. Transcribing the speech took a long time away from projects on deadline, but I considered it community service. Once you go back to that First AME service with me, maybe you'll understand too. "History in the Making: Barack Obama's Speech at First AME Church of Los Angeles"
April 29, 2007—I'm always glad when I make it to church on Sunday, but never as glad as I am today. I just heard Barack Obama give a speech at my church, First AME in Los Angeles. The pastor is Dr. John J. Hunter, and I have followed him since he was pastor of First AME in Seattle. On many Sundays, I have felt awed and renewed by my church, my choirs, and my pastor. But today's service was something special, even for First AME. I didn't know that Obama would be there, but I knew it was possible, since I had heard that he was in town. Often, politicians who are in Los Angeles make a stop at First AME, which has a membership of more than 20,000. Political seasons always bring out the candidates. My husband–Steven Barnes–and I had heard that Obama was in town Saturday night, when we attended a party hosted by a black producer here in Los Angeles. Two intelligent black actresses we met there, both very familiar faces, were rapturous after hearing Obama speak at a black Hollywood event earlier. "I think it must be like what people felt in the '60s when they saw Dr. King speak," one actress told me, earnestness burning in her eyes. After seeing Barack Obama at my church the next morning, now I understand why. Don't get me wrong: I've always been impressed by Obama, and I was even more impressed after listening to him read The Audacity of Hope. (It's worth getting the audio version to hear Obama read it himself.) Like most people, my first introduction to Barack Obama was when he addressed the 2004 Democratic National Convention; the only bright spot in an otherwise heartbreaking political year. He had me on my feet. I hadn't felt that way about a politician in a very long time, and hadn't expected to again. And when it comes to speeches, I have heard some of the masters. As a child attending NAACP conventions each summer with my parents and Johnita and Lydia, my sisters, I treasured opportunities to hear addresses by executive director Benjamin L. Hooks, a supreme orator. One year, Senator Ted Kennedy created a joyous uproar in the banquet hall when he ended his address with the last lyrics from James Weldon Johnson's "Lift Ev'ry Voice and Sing." At speeches like that, you get goosebumps. Your eyes fill with tears. A good speech is an act of magic. Dr. King's speeches helped electrify a nation, and the world. Since both of my parents are civil rights activists and writers, I grew up with their speeches, too. My father, attorney John Due, recently addressed a funeral for Miami civil rights activist Johnnie M. Parris Marsan; and Dad quoted from a Barack Obama speech in Selma calling for the rise of the post-civil rights generation—which Obama called the "Joshua generation"—who must complete the work of Moses, leading their people to the Promised Land. 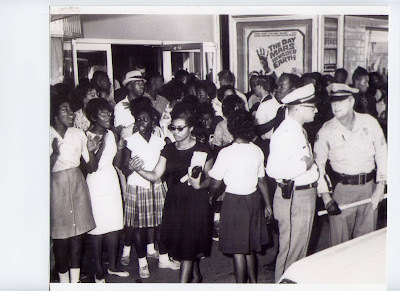 In 1960, my mother, Dr. Patricia Stephens Due, spent 49 days in jail for sitting-in at a Woolworth lunch counter in Tallahassee, Florida, becoming part of the nation's first "Jail-In." To this day, Mom wears dark glasses because her eyes were injured when a police officer threw teargas in her face. 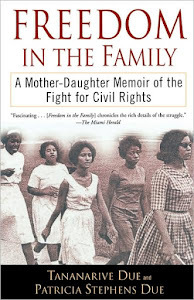 (We documented her experiences in the book Freedom in the Family: A Mother-Daughter Memoir of the Fight for Civil Rights.) Through her powerful speeches, Mom motivated other students to defy their parents and teachers to take part in civil rights protests and register blacks to vote. One fellow Florida A&M student who heard my mother speak—and was inspired to demonstrate and brave arrest—is present-day philanthropist Shirley Pooler Kinsey, who sat at First AME Church of Los Angeles forty-odd years later and heard a speech by Barack Obama. Sometimes a speech presents its case so well that you have no choice but to act. March. Vote. Contribute. The speech compels you to do something. That's the kind of speech I heard this morning. It's the reason I want to share the experience. I wish everyone I know and love had been there. First, the church was packed. The sanctuary and balcony were full, so a hundred or more of us took seating in the basement, where we watched the speech on a wide-screen TV. Pastor John first led us in prayer for Obama. All of us held hands and prayed—although, frankly, many of us have been praying for Obama since the day he announced his candidacy and we feared we were about to lose another dear son to violence. Obama cited a newspaper story about a pregnant woman who was shot in the abdomen during the violence of the riots—and doctors discovered that the bullet was inside of her baby. After an emergency delivery, a miracle: The baby was fine. The bullet hadn't even hit a bone, lodged in the baby's arm. Surgery removed the bullet. All that was left, the doctor said, was a permanent scar. "That baby represents the rising up of hope out of darkness and despair," Obama said at my church Sunday. "But I also like the doctor's point that there's always going to be a scar there. That doesn't go away. You've got to take the bullet out and you've got to stitch it up, but there's always gonna' be a scar. When you think about us in this country fifteen years later, not only do we still have the scars from that riot—but in many American cities, we haven't even taken the bullet out. We still haven't stitched up the patient." Applause swelled. So true, we all thought. Obama said that he's often asked if he thinks the Hurricane Katrina response was so slow because so many victims were black. "Actually," Obama said, "I think the response was color-blind in its incompetence. "But what I also said was that the tragedy struck New Orleans well before the hurricane hit. That the murder rate in New Orleans has been one of the highest in the nation, with young men dying far more frequently from gunshot wounds than they did of anything else in New Orleans. That the schools had failed in New Orleans long before the hurricane hit. There was a reason why the plan to evacuate them was ineffective, because the folks who were doing the planning assumed they had cars. That they could fill them up with gas. That they could put some Perrier in the back of their SUV and drive to a hotel and check in with their credit card. And that wasn't the reality of folks in the Ninth Ward in New Orleans, any more than it's a reality in the South Side of Chicago or South Central Los Angeles. "There's been a tragedy there for a long time. Yet, you think about the response after Katrina, and it's similar to the response in Los Angeles after the riots. In this country, we go from shock to trance. There's nothing in-between. "We wake up and we're surprised that there's poverty in our midst, and that people are frustrated and angry. There's recriminations as to what happened, and then there are panels and meetings and commissions, then reports. Then there's a little bit of money folks piece together to send it into the community to make sure the folks are quiet and go back to the status quo. But we never take the bullet out of the arm and stitch up the wound that has been made in this country." Many people rose, applauding. "We don't need panels and reports and commissions. We need some surgery on the indifference to poverty in this country that has gone on for too long. We know what needs to be done. We know what it would mean to take the bullet out—the bullet of slavery and Jim Crow. We know what it would take to take that bullet out..." Then Obama stopped his speech. "I've got to take a break, because Stevie Wonder's in the house," Obama said. Stevie Wonder had just walked into the church. The audience laughed and applauded as Wonder was led to his seat. "I'm sorry," Obama said, "but when Stevie's in the house, I've got to stop preaching and say 'Thank you' to Stevie Wonder. I'm sorry. I was on a roll, but... [laughter]...but Stevie walked in—and I grew up on Stevie. I love Stevie Wonder." Suddenly, the presidential candidate had been transformed into a 10-year-old boy, grinning from ear to ear. Stevie Wonder, Obama pointed out, performed a fund-raising concert during his Senate campaign. "The bullet of slavery and Jim Crow and indifference. We know what it would require to remove that bullet, the kind of surgery this country needs to perform. We know that if we've got young people without hope, if we've got more young men in prison than in our colleges and universities, we've got our children having to go to the emergency room for treatable illnesses like asthma, or undiagnosed and can't get a pair of glasses so they can learn in school because they don't have health care. They've got mental health problems, nobody's paying attention. We know what would need to be done. We know what works. "We know that if we put a dollar into early childhood education that we get seven dollars back in reduced dropout rates, reduced delinquency, reduced prison rates, that our young people can go to college. We know what it takes to improve our schools. We know that if children are learning in dilapidated buildings, with teachers that are underpaid, and textbooks that are twenty years old, and curriculums that are uninspired and don't reflect the experiences of our children, that they will not learn. But if we put some money into making sure our teachers are paid a decent wage and treated like professionals, and engaged and given flexibility, and if the textbooks and curriculum reflects the experiences of our children and made relevant, then our children can learn. There are models of excellence in every urban community; we just don't scale it up. "And the reason we do is not because of the lack of knowledge of how to do it, but because in the back of our minds there's a part of us that still thinks that actually, not every child should learn. Every child doesn't need to learn. There's that bullet in our psychology. "We know what it would take to provide health care for all Americans. We spend two trillion dollars on health care every year in this nation—fifty percent more than any nation on Earth. And yet I read a report last week that infant mortality among African-Americans in places like Mississippi is going up. And we've got infant mortality rates in some of our communities that are the equivalent of what's going on in Haiti and Ecuador. Sub-Saharan Africa. Here in the wealthiest nation on earth. "We know that if we put money into preventive care and if we gave the chronically ill decent health care so that they were getting their medications on a regular basis, somebody's who's diabetic, if they were getting regular medications, we wouldn't have to pay thirty thousand dollars for a leg amputation." Applause. "That would save us all money. We can provide universal health care in this country by the end of the next president's first term. We can provide it by the end of my first term in office. There's no reason why we don't do that. Everybody should have health care." The pianist played flourishes while the audience gave him a standing ovation. "We know what it would take to develop our communities economically. Some of ya'll notice gas prices aren't too good around here. It's worse here than Chicago. I was with my driver here in L.A. He was explaining how he still has a Durango, and I told him, 'You need to buy a Prius.'" Laughter. "He's driving fifty miles to his work every day. He fills it up, $78 to fill up, and it takes three trips before he has to fill up again. He's spending five-hundred dollars a month on gas. I said, 'That's right, and you know where we're sending it? Eight-hundred million dollars a day to some of the most hostile nations on earth. We're funding both sides of the War on Terrorism because we don't have an energy policy in this country.' "And in the bargain, we're melting the polar ice caps and creating climate change that is going to impact not just rich people, it's gonna' affect poor people more than anybody. Two-hundred fifty million people around the world, many of them in Sub-Saharan Africa, may be affected by climate change. But here's how we bring it back to right here in this community. "You know, people think that thinking environmentally somehow is contradictory to economic development. It turns out that if we were serious about an energy policy in this country, if we're serious about dealing with the consequences of our dependence on oil, we could create jobs all through our community. We've got whole buildings here that if they were rehabilitated and insulated and refitted so that they were conserving energy, that everybody would save money. And you know who would be doing that work? It would be all the young men and young women out here who've got no employment. They can be trained. We know what to do. "But instead of increasing job training and developing an energy policy and making sure economic development exists all throughout our community, let's see what our current president has done: He has cut forty percent of federal dollars for Community Development Bloc Grants and job training and community policing, and we have now spent half a trillion dollars on a war that should have never been authorized, and should have never been waged. We could have invested that money in South Central Los Angeles and the South Side of Chicago." By now, Obama was nearly shouting. "Our jobs and infrastructure and hospitals and schools—why is it we can find the money in a second for a war that doesn't make any sense, but we can't find the money to take out the bullet of poverty in this country? And stitch up our communities so every child has a chance at a decent life?" Applause. "...I am confident in my ability to lead this country. I wouldn't be running if I wasn't. I'm not half-stepping in here. This isn't a symbolic race that I'm running. I'm not trying just to get my name in the papers. I get enough attention without running for president. I'm running to win. "But I will say this...I can't do it by myself. I can't do it on my own. There are gonna' be times during this campaign when I get weary. There'll be times when I'll get tired. There'll be times when I make mistakes. I haven't done this before. You know, we came out of the debate this week in South Carolina. They had a poll showing that folks in South Carolina thought I had won. But we had some of the pundits saying, 'No, Obama seemed a little bit stiff.' I said, 'Yeah, I'd say that was my B game.'" Laughter and applause. "But here's the thing: That's the first time I've ever done it. Can you imagine what I'll be like by the time I've done it the fifth time?" Raucous applause and cheering. "God's not through with me yet. We're still working on this thing. But I can't do it on my own. I can only do it with you. We can only take the bullet out with you. You know, I watch some of these shows, 'E.R.' and 'Grey's Anatomy' and all that. The doctors, they're doing the operation, but you notice all these people around 'em handing them the scalpel, telling them 'No, doctor, the heartbeat's going down.' There's a team that gets that bullet out of that child. That's what I need here, is a team. I can't do it by myself. Change doesn't happen in America from the top down—it happens from the bottom up. "Some of you know I was down in Selma, Alabama about a month and a half ago, celebrating the 42nd anniversary of the march across the Edmund Pettis Bridge. And it was a powerful moment for me, being in Brown Chapel next to John Lewis and thinking about what had happened back in 1965, when I had been four years old; where a group of college students and maids janitors and Pullman porters gathered together and decided they were going to march for freedom. And how they had gone to that bridge and seen the horses and the billy-clubs and the teargas, and they started to cross anyway. And had been beaten within an inch of their lives. And had staggered back to the church, bloodied, feeling that perhaps change wouldn't come. And how that recording of those events on Bloody Sunday had galvanized a nation. And thousands had come and descended on Selma, and marched with them in the weeks that followed, and how the waters had parted, and they had kept on marching over that bridge—not just to the courthouse, but all the way to the White House, until the Voting Rights Act of 1965 was signed. "And standing on that bridge next to those heroes—those who were responsible for me now being in a position to run for the presidency of the United States—standing on the shoulders of those giants—I thought to myself how even out of darkness, God finds a way to lead us through. "And I came back from Selma to Washington, and some of my colleagues patted me on the back and they said, 'Senator, you gave a wonderful speech at Brown, and that was a wonderful celebration of African-American history.' And I said, 'No, no, you don't understand: That was a celebration of AMERICAN history.' Because at every step of the way in this nation, when we have made progress, it's because millions of voices have joined together and decided that a change was going to come. That's how the abolitionists organized to erase the stain of slavery from the Declaration of Independence and our Constitution. That's the way that women decided to join together to get the right to vote, so they would be equal partners with everybody in remaking America. That's how workers joined together so that we'd have overtime and the minimum wage, and all the other benefits that we now take for granted. That's how the civil rights movement occurred—because ordinary people realized they could do extraordinary things. "And so, First A.M.E., I want you to know that 15 years after those riots, change is still going to happen because of you. This campaign may be a vehicle for your hopes and your dreams, but ultimately it's going to be because of you. And I am absolutely confident that if all of you make a decision that we are going to transform this country—that we are going to usher in a new America the way that newborn child was ushered in—still having the scars, not forgetting where we came from, not blanking out on what has happened, but recognizing that we can remove that bullet and stitch up that arm and move forward as one nation. If all of you make that decision, then I am confident that not only are we going to have health care for every American in this country, not only is every child going to have a decent education, not only are we going to end this senseless war in Iraq—but you might just elect a new president named Barack Obama." The sanctuary roared with a standing ovation. The organ played. Women screamed. Then Stevie Wonder sang "Falling in Love with Jesus," and we remembered we were in church. Listening to Wonder, Obama looked full of rapture. This morning at my church, Barack Obama stood beside Stevie Wonder—with the Men of FAME Choir dressed in African-styled vests behind them. And above them was First AME's massive mural depicting painful chapters in black history: Capture. Slavery. And also the triumphs: Wagon trains. Black newspaper boys and the rise of black media. The black church. And I knew, with absolute certainty, that I was watching history in the making. Now I understand that light I saw glowing in the actress's eyes after seeing a speech by Barack Obama. He has the gift of turning us into believers—not believers in him exclusively, but believers in ourselves and our own power. It is the essence of a populist message. I understand Obama's poll numbers. I understand his fund-raising bonanza. All across America, a growing number of people of all races believe that Barack Obama can be our next president. He is transcending race, for now. Are we still half a generation removed, or has the day our nation would accept a candidate regardless of race already come, and we just hadn't realized how close we were? Today, I looked at my 3-year-old son and realized that, yes, one day he could be the President of the United States. As a black parent, that makes my generation unique in American history. Today, it felt as real as a man standing in my church. Here's why Barack Obama could win the presidency in 2008: He has a message, but he's not selling sound-bites. What he's mostly selling is his logic, his way of thinking. He's selling his nuance. He is in a unique position to see the world from multiple positions, and he often comes across as the tallest person in the room. He seems to know how we feel, no matter who WE are. You find yourself wondering: "Why hasn't anyone else put it that way? Understood it so well? Articulated it with such simple eloquence?" And he does it, so far, without a hint of artificiality. He is the living, walking embodiment of the future the 1960s activists bled to achieve. We've canonized Al Gore now, but remember how his candidacy bleached him? Remember how hard he had to work not to say what he was really thinking? Remember how much we wanted to love John Kerry—and we admire his contributions to our national sanity both during the Vietnam era and today—but we never truly felt stirred by him? Barack Obama makes candidacy look easy. And he does it with the eye of a psychologist who knows exactly what our nation's psyche has been through. We have been wounded, and Obama understands our need for healing. We are ready to take the bullet out. And you start to think, "Well...? Maybe he can do it..."
Maybe is just another word for hope. I do not know how Barack Obama's life story will read. Today, I believed I had just seen a speech from the nation's first black president. But...maybe Obama will lose the Democratic nomination or the general election. Maybe he will stumble. But even if Obama doesn't win, he's young enough that we know he isn't going anywhere. One way or another, we are in the midst of history in the making. It's not every day you go to church and feel like you're witnessing a miracle.